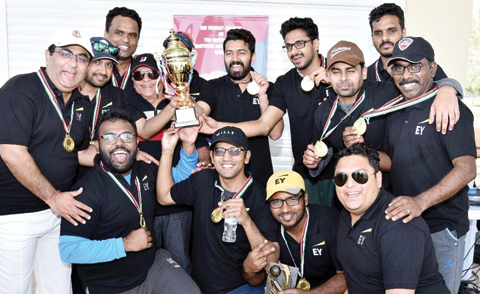 KUWAIT: The Institute of Chartered Accountants of India (Kuwait Chapter) organized its first cricket tournament exclusively for its members at Boulevard, Salmiya. Four teams Ledgerdary, Accountables’, Auditaholics and Red Inks registered for the tournament. The winners received the ICAI-Kuwait Chapter rolling trophy and medals. CA Mukhtar Sajjanlal presented the man of the match awards; CA Saibal Basu, CA Sai Devata, CA Noel Cherian and CA Kaizar Shakir presented the medals to the players of the victorious team followed by the trophy being presented by CA Ramesh Khanna. The commentators for the tournament were two young Chartered Accountants – CA Trisha Dalmia and CA Ajai Kothari who kept the crowd engrossed in the proceedings with their witty commentary. CA Noel Cherian, Vice Chairman of ICAI Kuwait Chapter proposed the vote of thanks. The ICAI-Kuwait Chapter is especially indebted to Al Tijaria Company for the excellent facilities provided at Boulevard and Kuwait Cricket for providing qualified umpires Umesh Rai and Francis Viegas and scorer Sudhir Kumar. This fun filled event was well appreciated by all the members. It was organized by the Youth committee of the ICAI Kuwait comprising of CA Shweta Chipra, CA Trisha Dalmiya, CA Rabin Gonsalves, CA Aditya Danuka, CA Umesh Soni and CA Ajay Kothari. 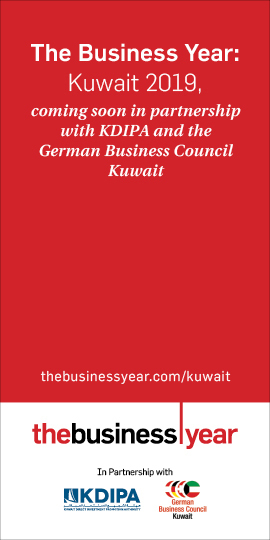 The Kuwait Chapter of ICAI has over 400 members and conducts continuing education and knowledge sharing programs for the benefit of its members.